Handpicked for Earth By Uncle, aunt, Grandpa, Grandma, Mawmaw in Heaven. 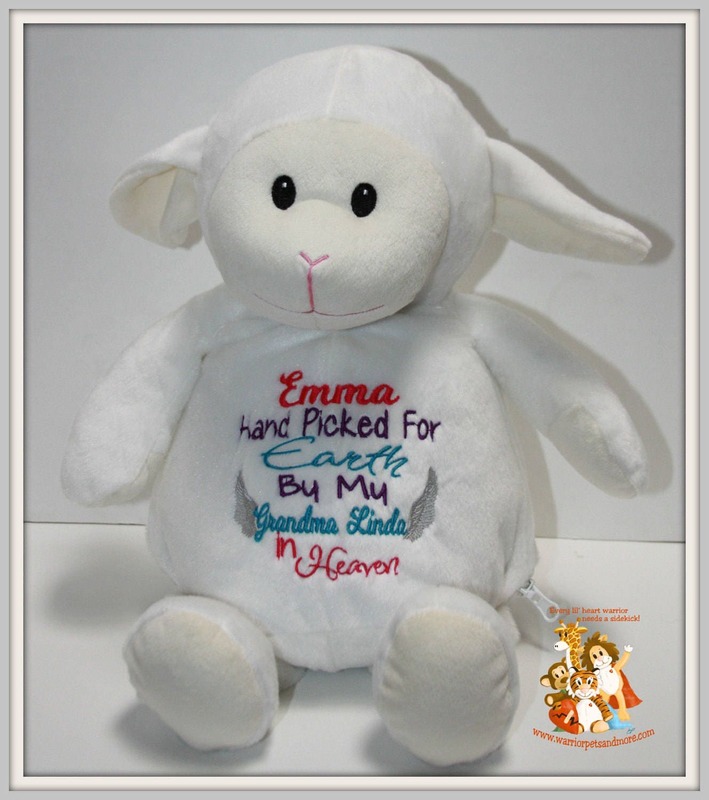 Perfect gift for a baby to remember a loved one. Please indicate in the comments what relative this is for. Please list the top name and the bottom name. If you have color preferences for the embroidery also list those. This design can be embroidered on any of the animals. Need a relative that isn't listed? Not a problem, list it in the box when you order. Thank you so much!!! Such a precious gift that will be cherished forever!!!! I love this! My brothers' daughter had her baby yesterday. Can't wait to meet her and give her this beautiful present. It was done exactly the way I wanted. Totally deserves 5 stars! Absolutely adorable! I am in love with this gift! It's perfect for my sisters baby shower. I can't thank you enough for this incredible and beautiful gift you made!! !